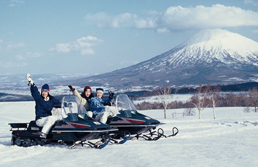 For winter activities advanced bookings are recommended. For more detailed information please "Contact us" or call us (+81 136 23 3301). Any activity without "Contact us" means you can directy arrange things with the company. Menu of activity which attached "Specials" and "Contact us" icons indicates that Izumikyo guests could get special gift(2018-19 winter season only). 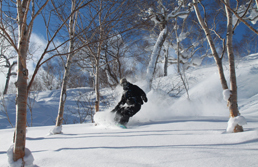 Activities which attached only "Specials" needs "Izumikyo Season Pass"(until the end of March 2019). These special pass will be given at check in and for full details it's best to please ask each company providing the service. This rental delivery is very convenient. 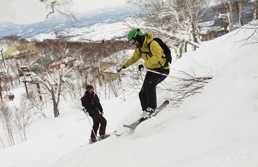 You can get the rental gear at Hirafu welcome centre. Please check about more details by this site, because the following things are some example. *Open period is subject to change due to snow conditions. *Please stop by at Izumikyo management centre to receive "rental application form" before you go to Hirafu welcome centre. after 19:00 on the day before rental - 100%. It is cool! Enjoy driving and seeing a sight! Please let us know the following information when you booking. *Booking must be received no later than 16:00 of a day before. *Please arrange starting time between 8:20 - 15:20. 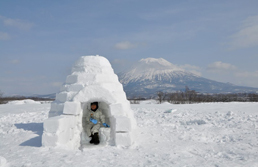 *Please stop by at Izumikyo management centre to receive boucher before you go to snowmobile. *Ski jackets and pants are not included. Please prepare by yourself. *An elementary school child is available on double ride if riding with an adult. *Cancellation fee is charged : The day before tour - 50%, the day of tour - 100%. 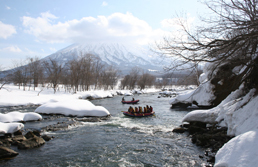 Enjoy a Niseko snow using a fun lesson or tour of snow shoe. These menu have special discounted for Izumikyo's guest ! 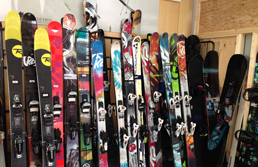 *Lift passes and ski/snowboard equipment are not included in the lesson / tour fee. *Please stop by at Izumikyo management centre to receive boucher before you go to tour. *Please arrive with your ski/snowboard equipment ready to use. 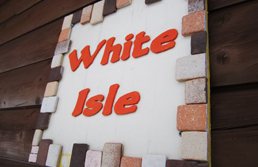 *Ski or snowboard lesson have no pick up service. 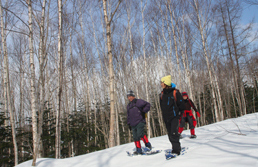 Raft through a dreamy snowscape, snowshoe to places only accessible in winter, or try any of our other activities. 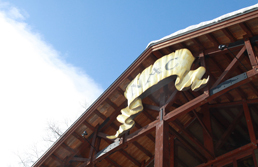 They have many programs in outdoor recreaition and handcraft experiences.